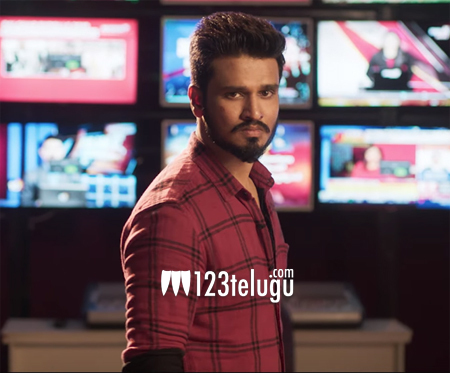 Nikhil is betting big on his upcoming film Arjun Suravaram, which is slated for release later this month. Directed by Santosh, the film also has Lavanya Tripathi playing a lead role. Both the actors will be playing journalists who take on a crime syndicate. Interestingly, Nikhil came up with an unique idea to promote the film and it has become a huge hit among the youngsters. The actor is an ardent sports enthusiast and a gamer too. For the past few weeks, several fans of Nikhil had been asking him to play a popular game, PUBG, along with them. So, finally, Nikhil agreed to their request, and he played a game for nearly an hour, which will also streamed on Youtube. In the end, since he had already been engaging with thousands of people who were watching him play the game, the actor also launched a song, Tika Maka Maka Tika, from his film. This could very well be the first time that an actor has used PUBG to promote his film. The film is slated for release on March 29.